Unlock the secrets behind some of the world's most esoteric architecture – from historic castles to legendary mansions of the imagination. 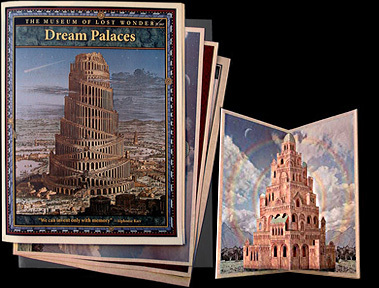 This folio reveals the ancient knowledge and fascinating symbols that were built in to every aspect of these visionary temples to human creativity. Contains a 20-page lavishly illustrated booklet, plus a DIY pop-up model of St Teresa's Interior Castle, complete with instructions. Delve into the realm of the senses to discover how sight, sound, taste, touch, and smell become the foundations for our memories and the genesis of the imagination. Using architecture as a metaphor, we explore the rooms and pathways that make up the mind, employing ancient practices and exercises to remember information, make connections, and enhance your creative powers. 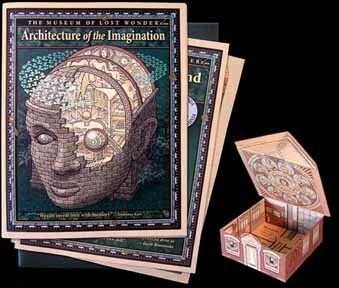 Contains a 20-page activity booklet, plus a do-it-yourself Mansion of the Mind model with complete instructions. Unlock the secrets behind the innermost workings of your mind. As we perceive and seek to understand the world around us, we create mental models— becoming architects, engineers, and designers of our own thought processes. 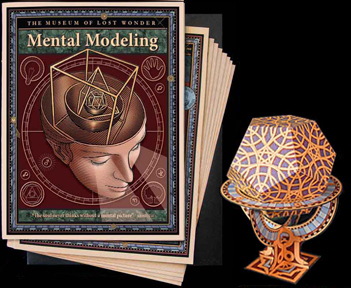 Delve into these mysterious mental tools through a series of fun experiments and exercises. 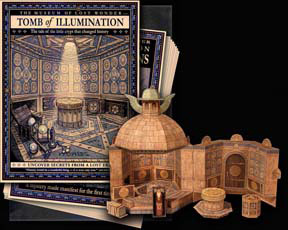 Contains a 20-page activity booklet, plus a Do-it-Yourself model of Kepler's Mysterium Cosmographicum with full instructions. Do you see yourself as creative? The Codex affirms it as a given talent we all have. Drawing on the history of art and science, it illuminates the process of creating something wonderful through the analogy of alchemy. You'll begin to challenge common myths about creativity through thoughtful exercises you can pursue at home. 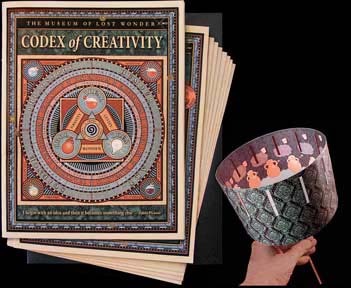 Contains a 24-page activity booklet, accompanied by a Do-it-Yourself zoetrope model that illuminates the process of creation. Explore how wonder was found in the 17th century by the discovery of a secret Rosicrucian tomb. Join in the adventure as you learn how its revelation changed the world. Comes with an exquisite Do-It-Yourself model of the tomb, never before seen in history, with an engaging instructional booklet. 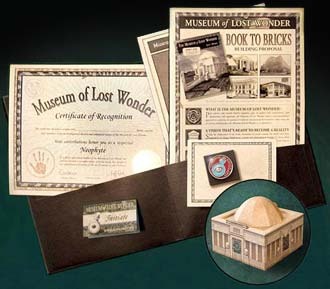 Step behind the scenes of the Museum of Lost Wonder to discover its hidden truths. Enjoy the benefits of becoming part of the vision, and share in its evolution. The core membership folio includes an intimate tour of the museum, a membership certificate, enameled badge, membership card, a model of the museum, and an additional idealized museum plan.